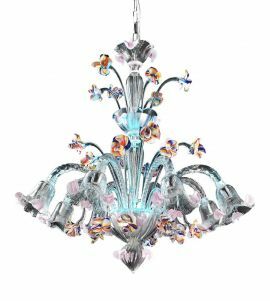 Multicolor Murano Glass Chandeliers & lamps will provide a joyous atmosphere anywhere they are placed. 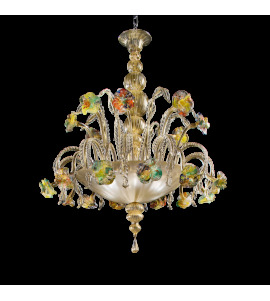 These precious glass pieces often have floral motifs which make them stand out even more. 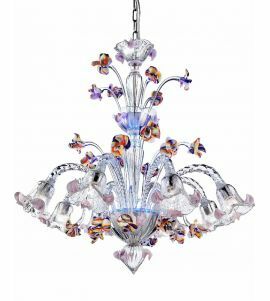 If you are looking for a decoration to improve the mood in your home, a multicolored chandelier is the best choice. 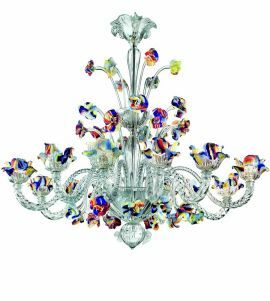 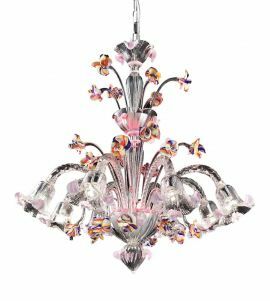 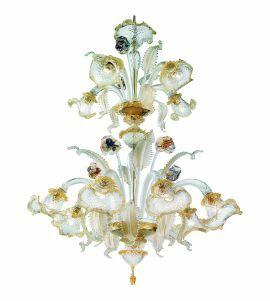 The exquisite craftsmanship and attention to detail for which Venetian glassmakers are famous for will ensure that each chandelier in this category is made at the highest standards.